Click here to listen to this episode of Spirit Voyage Radio with Ramdesh. Click here to sign up for the free Spirit Voyage Radio with Ramdesh podcast on Itunes. Close your eyes, go within, and join Ramdesh for this powerful visualization. You’ll journey to the Golden Temple at the center of your heart, where you’ll feel peaceful, healthy and whole. Before playing the first track, “The Golden Temple of Amritsar” by The Peace Family from the album Carry Us Home, Ramdesh shares a magical story about a beautiful young princess who is wed to a leper. You’ll be mesmerized as Ramdesh recounts this loving tale of acceptance, healing and restoration. 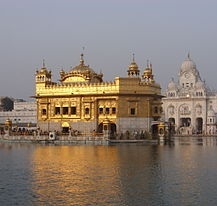 Next, you’ll come along on a “Guided Meditation to the Golden Temple” from Ramdesh’s new CD Journey Into Stillness with “Ang Sang Wahe Guru” by Snatam Kaur. During these 25 minutes of bliss you’ll follow Ramdesh’s golden voice as she guides you to a place of complete calm and peace. 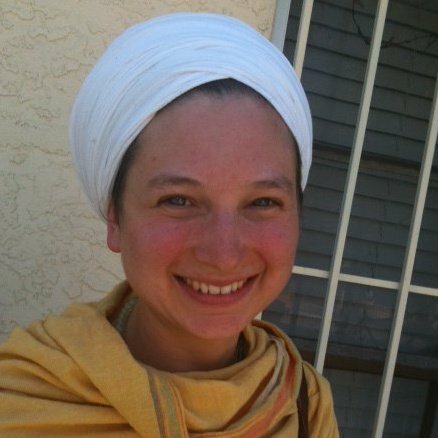 Ang Sang Wahe Guru, she explains, means that every cell of your body is filled with the ecstasy of the divine; this is a mantra that allows our bodies to return to their divine blueprint. You’ll begin by lying down on your back or sitting in a chair with your feet on the ground, and closing your eyes. You’ll approach the bridge, and you’ll walk inside the beautiful temple. Within you’ll find a golden throne and as you relax into the music you’ll envision a glowing orb hovering over the throne. In time its light will scan your body, searching for any cellular imbalances. You’ll feel the light and sound dancing with one another, and your cells will begin to dance along in pure ecstasy. What was before pain, discomfort, disease and disharmony, Ramdesh explains, will shift within you to complete health and wholeness, and you will know that the divine is filling you with love and healing. Chant along with the mantra and merge fully and completely with the light. Feel yourself heal and become whole in the gentle embrace of the mantra. Come along on this sacred journey to The Golden Temple with Ramdesh as your gentle guide and experience the bliss in your heart, your soul, and in every cell of your body!